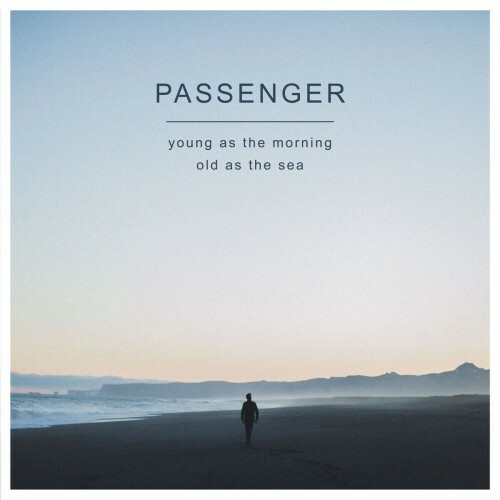 Each of Passenger’s songs tell a story. Focusing on themes of life, loss, laughter, love, change, travel, stars, summer nights, fear, shimmering waves, growing old, and his views of the world, Passenger captures vivid scenes and memories through his music. His latest album is titled Young As the Morning Old As the Sea. My friend and I were first in line about 2 hours prior to the concert, and ended up being front row once we got inside the venue! It was amazing to be at the barrier–I’ve only ever experienced it at one other concert. 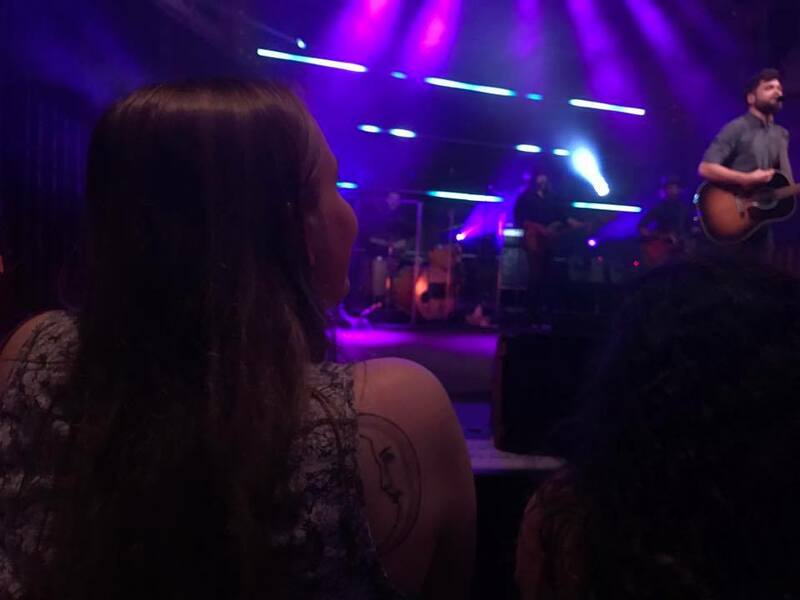 Passenger was so interactive with the crowd–he responded to fans shouting compliments, and talked to all of us as if we were old friends of his. Being so close to him standing on the edge of the stage as the lights reflected off his guitar and the beads of sweat on his forehead made the whole experience so raw, real, and incredibly fun. Passenger told a few different stories through out his set. He started by explaining the story behind his song “Travelling Alone,” from his album Whispers II. Michael said he initially struggled to write this song–he had the first half of it written, but wasn’t sure how to continue it. The other half of the song is written about a woman Michael met during his travels. Her husband left her, and she told him the story: “‘See, ten years with this man. And a life time of plans. Oh, and I loved him to his bones. Now I’ve lines on my skin…And he’s traded me in. He left me travelling alone. '” Michael described to us the process of intertwining the two stories in order to weave the song together. Although the two stories are very different from each other, they shared a common theme of lost love experienced in different ways. Listen to it here! 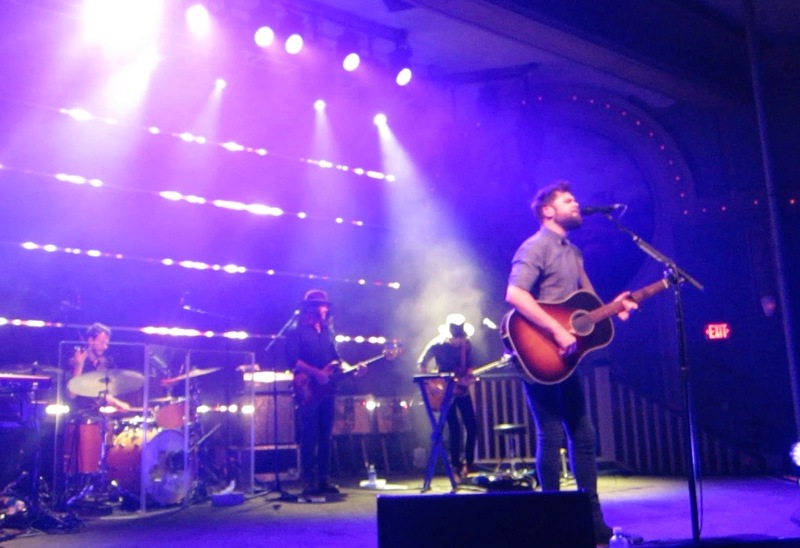 Passenger played a mix of old and new tracks during his concert–one being “27,” a fast-paced, witty single that tells the story of his life up to the age of 27. Before performing it, he reminded the crowd of the importance of doing the things that make you happy, regardless of what anyone else might think. He wrote “27,” during a time in his life where he felt he had to “sell out to get sold”–he struggled to create music that he knew producers and record labels would enjoy, but not necessarily content that brought him joy. I sang along to every word! After his final song, the encore was loud enough to break the glass windows. He had wrapped up the show with his single “Scare Away the Dark,” a fan favorite that features a distinctive chorus of “oh, oh oh, oh, oh oh no’s” that the crowd continued to belt even after Michael had left the stage. After a few minutes, he came back on and finished up the show with “Holes.” Click the photo below to watch the fun encore! After the show ended, Shayna and I took our chances and waited outside in the rain in hopes of meeting Michael. After about an hour or two, he came out and greeted us! He was so kind, asking us if we enjoyed the gig. I gave him a big hug, telling him that we loved the show, especially since we were lucky enough to get front row. “Oh yeah, I saw you dancing and singing!” he responded with his thick British accent. We chatted for a few minutes about Portland and music before he hopped onto his tour bus.